ELLENDALE, Del. 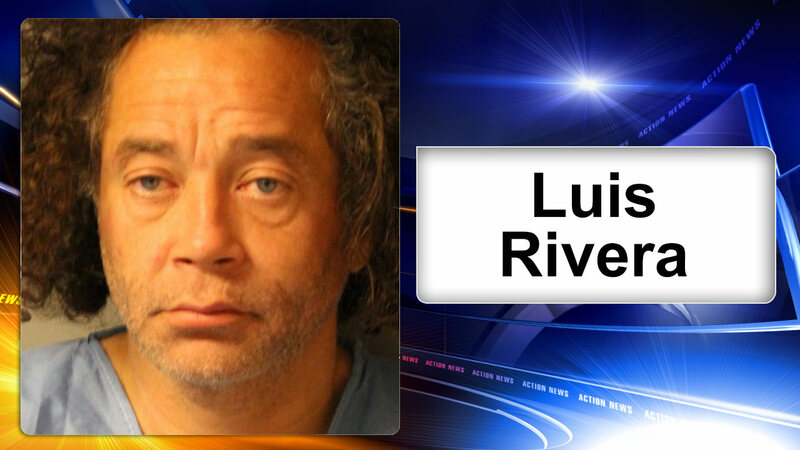 (WPVI) -- Police say a man who was behind the wheel of a truck in search of a missing man actually struck and killed that man, and was then charged with his 6th DUI. The incident occurred around 6:19 p.m. Tuesday on North Old State Road near Beach Highway in Ellendale, Delaware. Investigators say 44-year-old Luis Rivera was behind the wheel of a box truck in search of 46-year-old Willie Purnell. Purnell, who is intellectually disabled, left his residence unsupervised, authorities say, and Rivera left the same residence to search for Purnell. Police say Rivera failed to see Purnell in the roadway and hit Purnell with his truck. Purnell was rushed to the hospital where he was pronounced dead. Rivera was not hurt in the collision, police say, but he had to be taken to the hospital after he was assaulted by a relative of Purnell. After being released, police charged Rivera with his 6th DUI. He had convictions going back to 1993, police say, and his most recent conviction was in 2008. He is being held on $15,000 cash bond. Meanwhile, police say, the relative who assaulted Rivera has not been charged, but say the investigation is ongoing.